It took the parents at PS 118 in Brooklyn three years to get on-street bike parking for their kids. Community Board 4 in Manhattan spent five years negotiating with DOT over the relocation of two post office parking spaces. Residents of the Upper West Side struggle for years just to get a loading zone in front of a single building. Sadly, too many people have stories like these: stories of people trying to improve their public space with simple changes only to face a grueling process of red tape, inaction, and, often, little help from city officials. NYC’s streets are overseen by a central bureaucracy that is focused on moving traffic. As a result, our streets are unimaginative spaces of concrete and asphalt filled with motor vehicles. Each year, with stakeholder input, our community boards address these barren spaces by submitting district needs statements, requesting items such as loading zones, traffic calming, solutions for rat infestations, and additional trash collection. Yet, year after year, most of their requests are ignored or unfunded and rolled over into the next year. Often, community boards receive no information as to why their requests were disregarded or declined. The Office of Management and Budget simply states “rejected” or “no funds available,” providing no details on the decision-making process nor any transparency about the costs of requests. Despite having the know-how to fix NYC’s broken streets, DOT’s centralized, network-oriented planning thwarts local place ownership, and our neighborhoods are suffering. Enter the Neighborhood Empowerment Project, a new Open Plans initiative that will address this deep structural problem by working towards a framework for local place ownership. Under this initiative, city agencies will create a clear process that devolves much decision making to neighborhoods. For this to work, DOT will need to institute a street hierarchy that clearly delineates “neighborhood” streets, such as the agency did in Downtown Brooklyn, and, along with other city agencies such as Parks and Sanitation, to create a tool kit of pre-approved, simple changes based on a specific set of criteria. Fueled by city funding and a small staff working at the district level, each neighborhood will be empowered to draw from the tool kit to make simple decisions and implement changes that benefit residents. This will allow DOT and other city agencies to focus on their strong suit — networks and large-scale projects — and put the smaller decisions where they should be: in the communities they affect. There are already models for delegating responsibility in this way: Business Improvement Districts have a sense of place ownership and act as caretakers of the public realm. In addition to BIDs, city agencies routinely relinquish stewardship over public space to other not-for-profits and private real estate developers. For the operation of 14 public plazas, DOT partners with the non-profit The Horticulture Society of NY, which, in turn, partners with less-funded local groups and provides services and training under their Neighborhood Plaza Program. Each summer, the private developer Vornado reclaims street space on West 33rd Street and installs an elaborately constructed plaza for seating and performances. The Parks Department delegates the care and maintenance of green space to more than 500 neighborhood groups, happily spinning off the smallest gardens and covering the groups under the Department’s own liability insurance. The city agencies partner with these organizations because they know that they cannot effectively improve and maintain this vast, complicated city by themselves. The Parks Department oversees 30,000 acres of land — 14 percent of New York City — including more than 600,000 street trees; DOT oversees another 26 percent of the city’s real estate, including 6,000 miles of streets,12,000 miles of sidewalks and 69 million linear feet of markings; and the Sanitation Department collects more than 14 million tons of garbage per year. The Neighborhood Empowerment Project recognizes this challenge and aims to create a city structure that will fill the local place ownership vacuum. Working at the local level and building on the city’s existing models of shared responsibility, notably the Parks models, the city will devolve control over specific issues to a team based in the district. This team will, in turn, empower residents to make changes and give local stakeholders real ownership over the streets and sidewalks they live on. 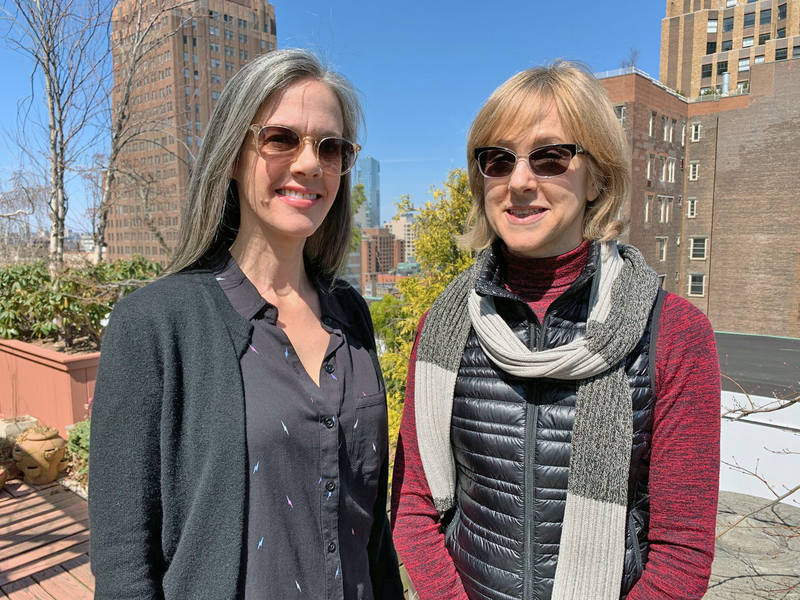 Lisa Orman and Janet Liff are co-directors of the Neighborhood Empowerment Project at OpenPlans. Orman helped shape the landscape of the Upper West Side as a street advocate and regular Community Board 7 agitator. She is the 2015 Streets Ball Honoree for her “fierce dedication to safer streets in the City of New York” and the recipient of the 2010 Streetsie Award by Streetsblog for winning the Columbus Avenue street redesign. Her proudest moment in her Upper West Side work was being called a “pitbull” by a local elected official. Lisa was on the Advisory Council of Transportation Alternatives, acting as its first co-chair and is on the board of Vision Hero and Streets Media. Lisa lives in Manhattan with her three kids and is thrilled to be fighting for the betterment of our public realm with the lofty goal of empowering local communities. Liff is a long-time, dedicated liveable streets and transit advocate. As chairwoman of Transportation Alternatives’ Manhattan Committee, her biggest accomplishment was leading the fight to win Complete Streets on Fifth and Sixth avenues. She’s a founding Board Member of StreetsPAC, the current Vice-Chairwoman of Transportation Alternative’s Board of Directors and fighting the good fight from within as a member of Manhattan Community Board 2. Prior to joining the advocacy fold full-time, Janet founded and ran a commercial real estate brokerage firm. This background gives her a special lens into the value of human-centered streets. Our plan does not include networks, such as protected bike lanes. The DOT will still be responsible for those. We are talking about simple solutions. Please visit our website to learn more, OpenPlans.org. Norms have hardened around the idea that basic street safety changes should be subject to an inscrutable public process full of veto points. We have to change those norms.